Air Group One formed as the "San Diego Squadron" of the CAF in 1981. Two years later it was reformed as a CAF Wing and renamed "Air Group One." Its hangar is located at 1921 North Marshall, Hangar #13 on Gillespie Field in El Cajon, California. Air Group One's hangar and WWII museum currently displays an SNJ-5 Texan "Sassy," an L-3, and our L-5 Sentinel "Betsy" is currently in restoration at our hangar. Air Group One is a purely volunteer-driven organization. 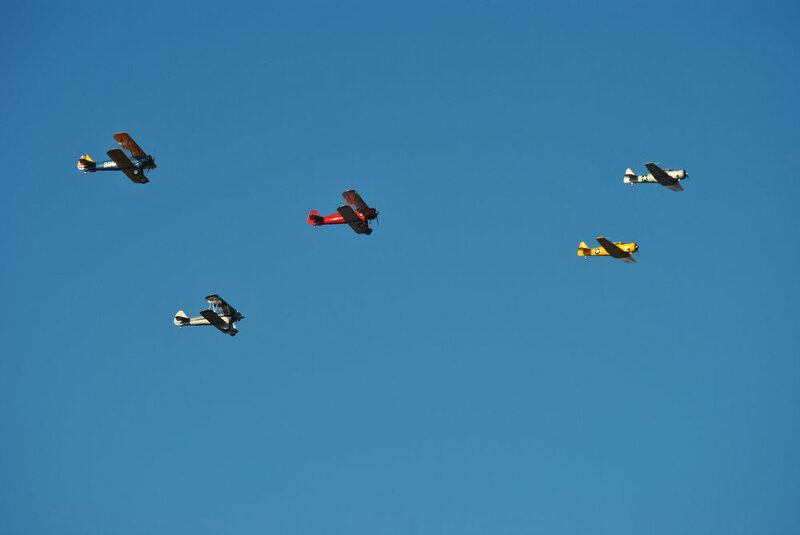 The members and volunteers dedicate their efforts to a variety of local projects, such as the maintenance and restoration of WWII aircraft, memorial flyovers at special events, contribution of museum displays to educate the public, and providing support and presence at Southern California air shows. Air Group One presents monthly member and volunteer gatherings, youth educational events and symposiums as well as annual events, such as the highly-anticipated World War II air show, "AirShow San Diego" formerly Wings Over Gillespie. Air Group One hosts a fundraising pancake breakfast or BBQ at our hangar on the fourth Saturday of the month followed by a general meeting (open to all). We invite you to join us to share an interest in history, aviation and community outreach endeavors.